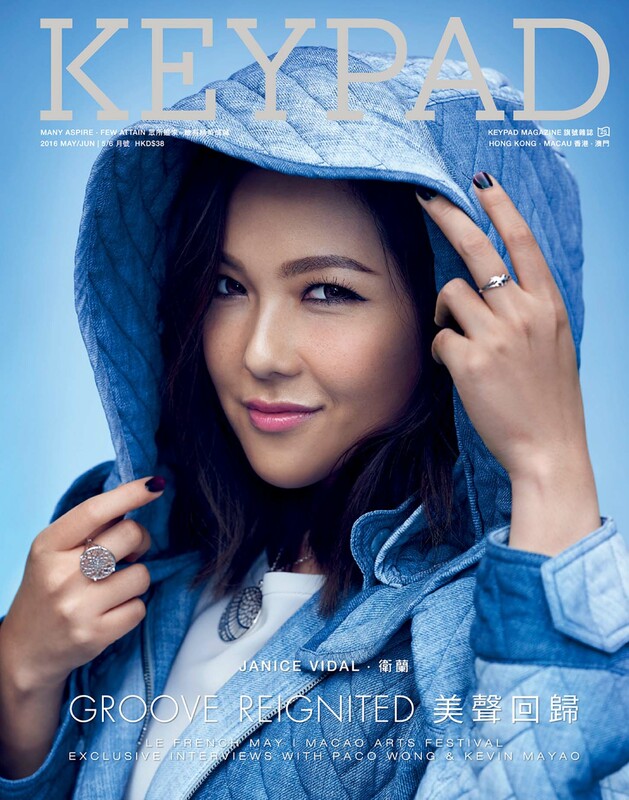 Two decades of rapid growth and development have metamorphosed China’s urban landscape. However, amid its economic miracle, many strange phenomena have emerged. From its notorious ‘Shanzhai’ imitation culture to political leaders having to ban the development of certain unusual architecture styles, in recent years much attention has also been given to the proliferation of ghost cities across the country. 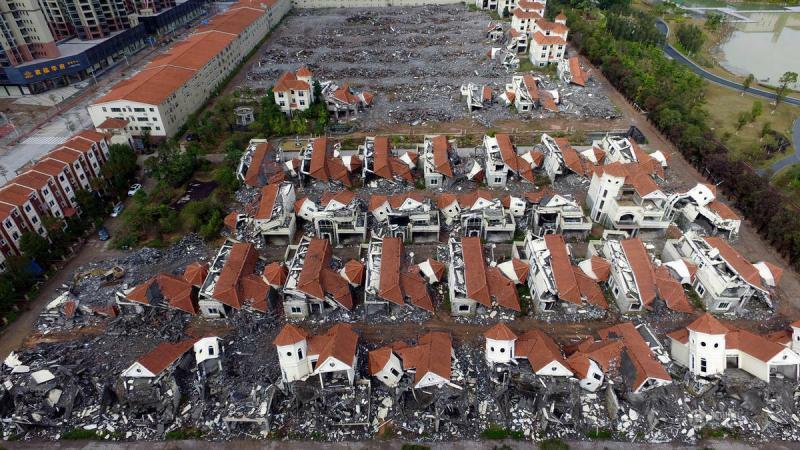 Of course, ghost cities are not an exclusive phenomenon to the Chinese, but, unlike the cases of Fukushima and Chernobyl among others, China’s ghost cities did not result from disasters or resource depletion forcing residents to evacuate. Instead, many of China’s ghost cities are largely inhabited because there never were many inhabitants in the first place. 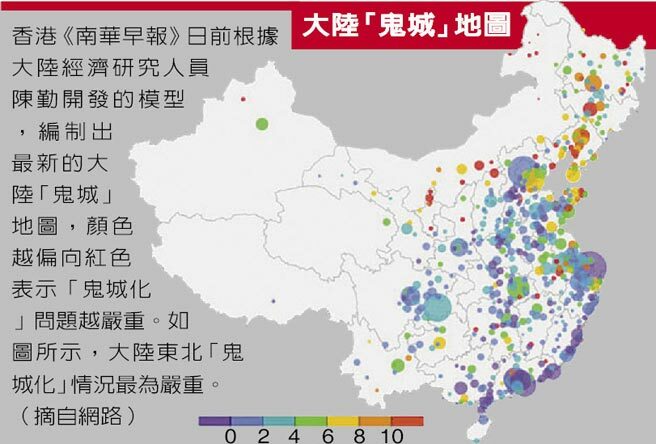 Emerging from the obsession for excessive development in the past two decades, these ghost cities have become a major feature of a rapidly urbanizing China. Believe it or not, the Great Ghost City of Ordos in Inner Mongolia was once tipped to be one of the most promising cities in China. Endowed with an abundance of natural resources, the city had for many years the highest GDP per capita on the mainland, hence its title as ‘Little Hong Kong’. Since 2012 however, with the slump of the coal industry and the bursting of the domestic property bubble, the success story of ‘Little Hong Kong’ quickly turned into that of a horror story. Although the city commanded a sizeable population of 1.5 million, the municipal government had been overly optimistic and eagerly ambitious, so much so that the development of a new urban district was hastily approved without proper foresight. This new district, Kangbashi, was meant to accommodate 1 million people, but its vacancy rates continue to languish at about 90%. Instead of transforming into a vibrant living space for China’s increasing urban population, Kangbashi has become a tourist destination known for its notorious reputation as China’s most renowned ghost city. 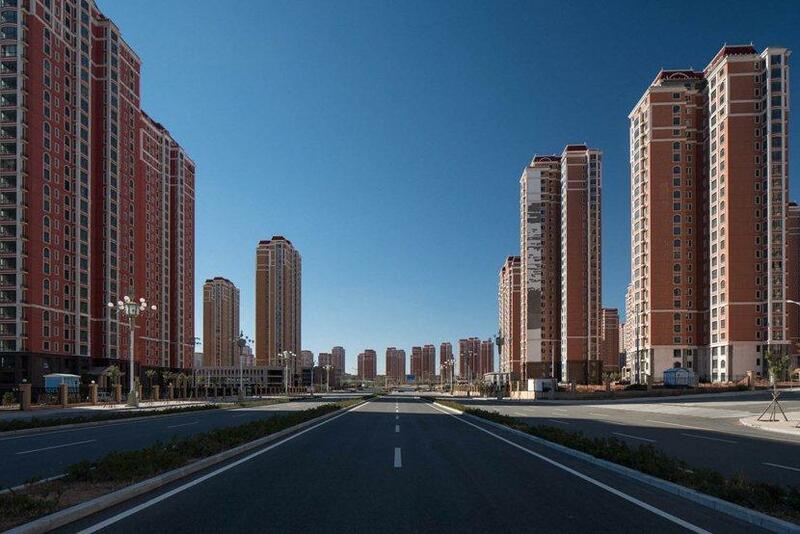 Much like the desolate cities in the Hollywood films of zombie apocalypses, a replica of the Manhattan district of New York is another of China’s famous ghost cities. 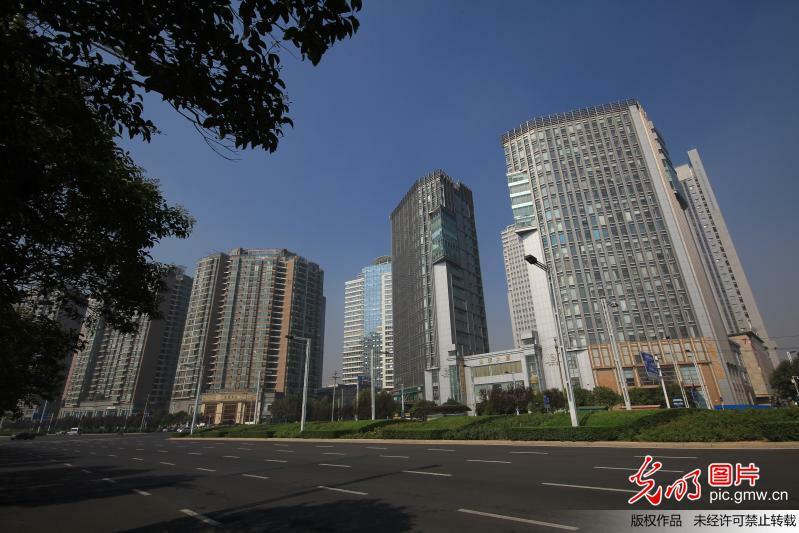 Originally meant to serve as financial centre connecting Beijing and Tianjin, the city of Yujiapu in Tianjin Binhai New Area has failed to take off owing to the property market downturn. Till date, the iconic imitations of Rockefeller Plaza and the World Trade Centre sit empty and soulless. The future of this financial district is apologetically bleak, though it could probably serve well as shooting scenes for one of those zombie movies. 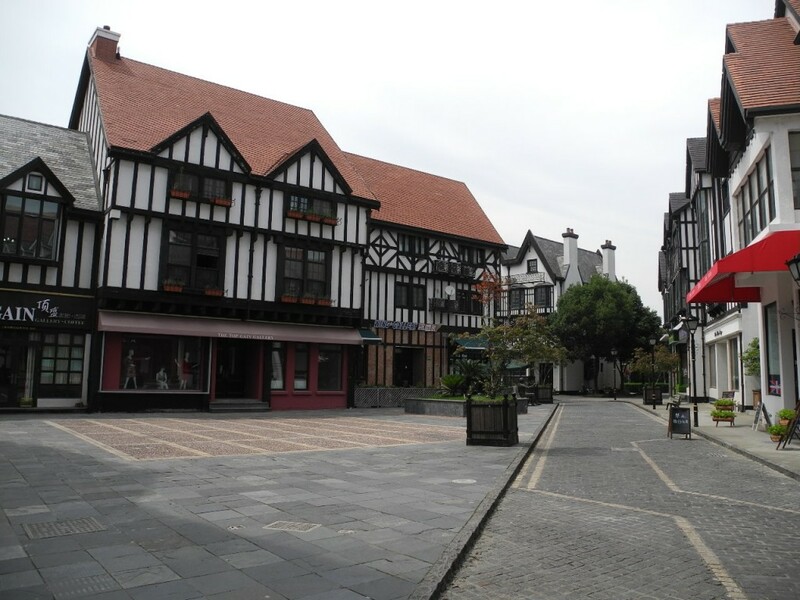 Apart from the replicated Manhattan city of Yujiapu, another prominent ghost city modeled after foreign cities include that of Tianducheng – Paris of the East. Along with replicas of the iconic Eiffel Tower and the Arc de Triomphe, Tianducheng has successfully recreated the famous Parisian city – but for the lack of people. Interestingly, despite (and perhaps because of) its emptiness, Tianducheng’s Paris replica is today a popular destination for wedding photography. Hallstatt, the famous Austrian village packed with Chinese tourists on a daily basis, also has a replica in the Huizhou. Unlike the real deal however, the Chinese version is shunned by locals due to its exorbitant property prices. Similarly, many of China’s “European” districts have been lambasted for being inauthentic, incongruous and oftentimes lacking supporting infrastructure. As a result, Shanghai’s Thames Town and Breeza Citta di Pujiang, just to name a few, have been relegated to China’s infamous list of ghost towns. A prosperous South China City was conceptualised by an ambitious developer who wanted to integrate the world’s largest mall with a theme park. Essential to the project’s majestic grandeur, the developer believed, was the inclusion of the replicas of global icons such as Piazza San Marco and the canals of Venice. Located at the remote suburb of Dongguan District, its completion was much hyped by global broadcasters, including CNN. Nonetheless, the project did not live up to its hype as the gigantic mall, 450,000 square metres in size, simply could not remedy its woeful vacancy rate of 99%. 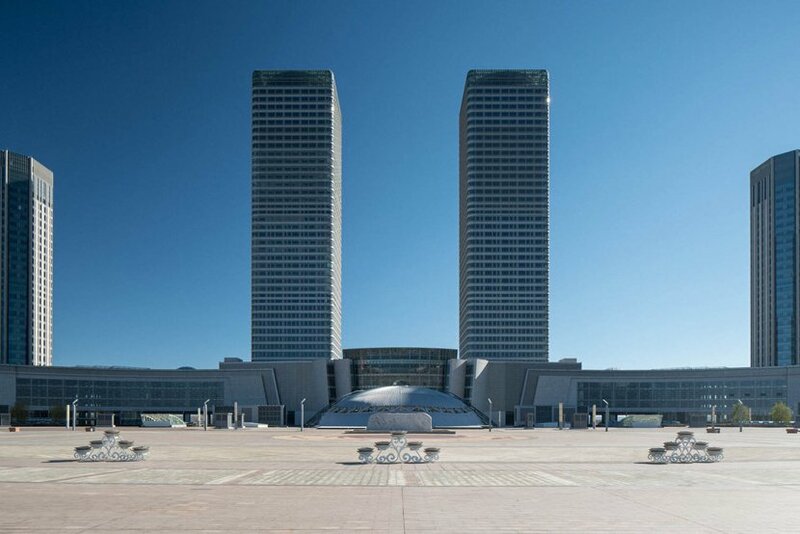 Many famous ghost cities have sprouted up across the country, including China’s largest ghost city in Zhengzhou’s Zhengdong New District, Asia’s largest villa districts in Beijing and Tianjin’s Metro Villa District, Guiyang’s Jinyang, Inner Mongolia’s Erenhot District, Yunnan’s Chenggong District, and Guangdong’s Daya Bay. Some estimates put the number of China’s ghost cities at between 40 and 50. The development of China’s ghost cities began with the unprecedented rate of urbanisation. Anticipating a surge in demand for urban homes, coupled with the abundance of cheap land whose sales could boost local government revenue and short-term GDP growth (an evaluation criteria for officials), many municipal governments went on a relentless pursuit of real estate development. In five years, China’s built-up area could be expanded by up to a ten thousand square kilometres, or about 38 times the size of Hong Kong. But the demand for homes in the urban areas just did not grow as rapidly as the supply. Commonly cited reasons include the unaffordability of homes, shortages in employment opportunities in the cities, the lack of supporting infrastructures such as schools and hospitals in the newly built environments, and the household registration system which advantages the urban over the rural population. The result was the illusion that the world’s most populous country is under-populated. With some ghost towns seeing an improvement in occupancy rates in recent years, some argue that the ghost city phenomenon was a temporary and inevitable phase of urbanisation. Nonetheless, the belief that the urban districts will eventually be fully housed by rural citizens moving into the cities may seem a tad too optimistic, as the mismatch in demand and supply could take a long time to adjust and stabilise. According to estimates, China’s new districts (including those under construction) are able to house a population of 3.4 billion people. At the current rate, China’s urban space will be able to accommodate half of the world’s population. Little wonder China’s cement consumption for the past three years exceeds that of the Americans for the entire 20th Century. Unfortunately, the short-term benefits of excessive development are running out. Not only is the economy displaying signs of overheating, vast amounts of resources have also been unnecessarily wasted. Without regular infrastructural maintenance, many of these empty buildings are left in shambles. Further, owing to poor occupancy rates, many of them have been seized back by developers for demolition and redevelopment. Poor planning, it seems, have resulted in a development model which ranks amongst the most wasteful in human history. 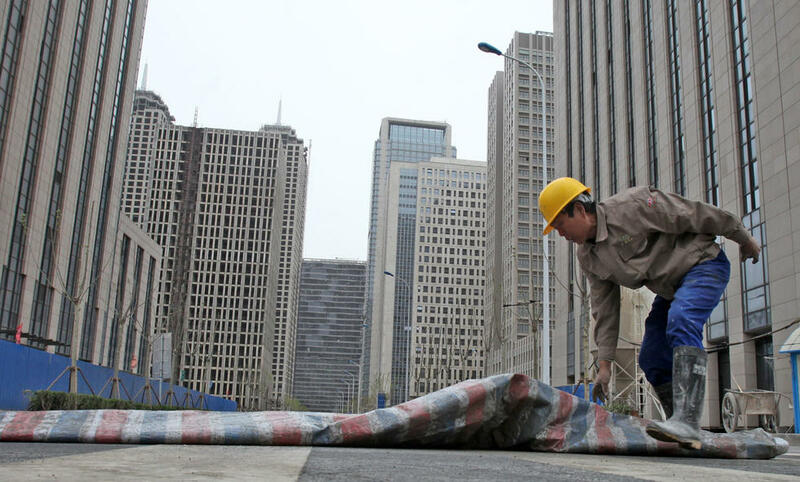 Developing the South China City was a policy blunder and a textbook case of poor planning. 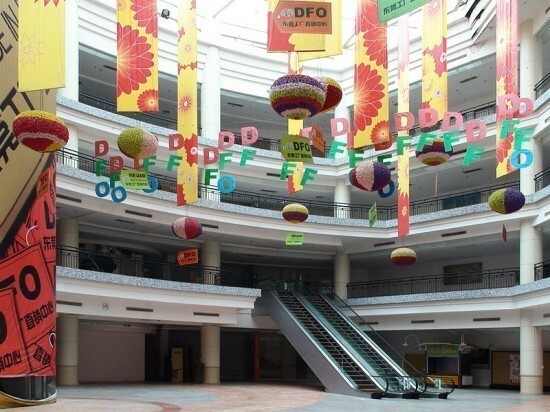 Someone must have questioned the decision to develop the world’s biggest mall at the inaccessible location of Dongguan, but perhaps nothing stood in the way of the proprietor’s eagerness to develop and the fear of losing out to regional rivals. 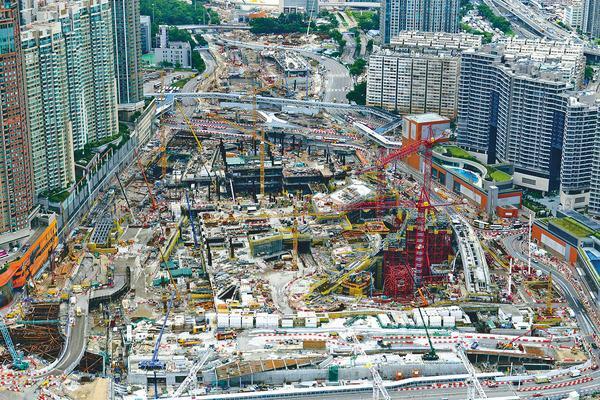 Recalling that similar sentiments were displayed whilst similar arguments were put forth at the proposition of Hong Kong’s high speed rail project, let us hope that the returns on investment would be much better this time.